Applying for credit in North Aurora doesn’t have to be a painful process. 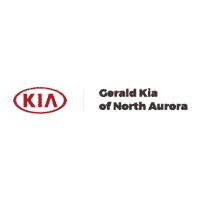 Here at Gerald Kia of North Aurora, we’re here to show you how easy applying for credit can be. In fact, you can get started financing a purchase or lease right here on our website. Please take a moment to fill out our online application. This will provide us with some basic information we need to find the payment and terms that work for your budget and current situation. Once we process your information, one of our skilled Financial Managers will be in touch with you to go over your options. Our Aurora and Naperville customers have been trusting us with automotive financing for years! But, if you are worried about your credit, you may want to take an extra step to prequalify for financing before you apply for credit. After you prequalify for financing, we’ll do our best to diminish any credit concerns you may have. So if you’re ready to finance or lease a Kia Forte, Optima, Sorento, or Soul, please take this time to fill out our credit application. It will only take a few minutes, and best of all, it’s free to use, and it’s secure. If you have additional questions about your financing options, please feel free to contact our team online or give us a call at (855) 622-8598. We’ve been serving our friends and neighbors around Elgin and Schaumburg for years, and we can’t wait to assist you!